In Lowrider DLC for Grand Theft Auto Online you have the opportunity to equip your vehicle with additional tuning parts. These include hydraulic transmission or lowered chassis for the perfect lowrider feel. In our tuning guide we'll show you the full extent of the modifications in Lowrider DLC of GTA 5. Benny's original Motorworks is now available in GTA Online. In the new workshop you can modify your own Lowrider and prove as much style on the streets of Los Santos. We will show you how you can approach to it in our Tuning Guide below. 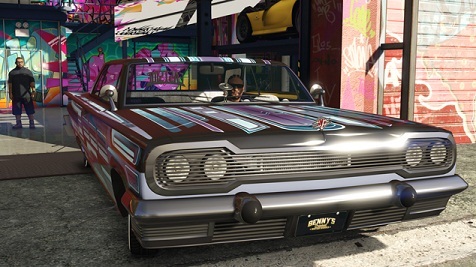 The declasse Moonbeam and Willard Faction are two brand-new vehicles, the first roll with the Lowrider DLC from the stack. The former may even be fired from the back seat with two-handed weapons. 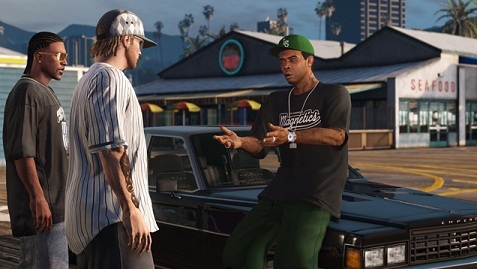 Before you access to Benny's original Motorworks, you must wait for the call from Lamar, who can unleash a war between the gangs of Ballas and the Vagos in eight new missions to the lowrider scene in Los Santos. After the mission community outreach eventually, you have full access to the tuning capabilities of Lowrider DLC. With one of the vehicles listed above you can now go to Benny's and begin tuning. However, you have to upgrade your vehicle initially for Custom Variant, before you make changes. The declasse about Voodoo, proposes in the Custom Variant with $ 420,000. Only then you can also install additional components. The possibilities of tuning in Lowrider DLC are much better and Benny also told that he might also provide tuning options for other cars in the future.